Replacing your inefficient windows is one of the best home improvements you can make to reduce your energy bills and cut carbon emissions. Most homeowners will look towards double glazing when replacing their old windows, but listed buildings and properties in Conservation Areas often won’t be granted permission. This is where secondary glazing comes in, as it doesn’t change the external look of the property and instead a second pane is fitted on the inside of the first, with an air gap to heighten energy efficiency. Of course, this isn’t as efficient as a double glazed unit but still stands to save homeowners plenty of money every year on their energy bills. Secondary glazing has become much more popular in recent years, as it shares a lot of the same qualities as double glazing, but comes at a cheaper cost. The two panes of glass will work together to lock heat in your home, ensuring you needn’t turn up the temperature to keep warm. As you would expect it’ll be tougher to break into a secondary glazed property, so you’ll have peace of mind and less worries of an insecure home. In the same way heat is retained in your home, noise pollution is kept out. This is particularly beneficial if you live near a busy main road or traffic works. Cutting carbon will make your property more environmentally friendly. This is done by reducing the workload of your boiler, therefore cutting fuel use. The effectiveness of secondary glazing will be directly affected by the gap between the two panes of glass, normally recommended at 100mm. Sound insulation will also improve with the glass’ thickness. 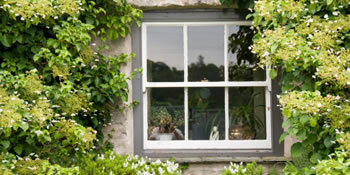 Secondary glazing is certainly the best option for properties in Conservation Areas or even listed buildings. It ensures you can still see the effects of new windows without having double glazed units. If you’re interested in making your home more energy efficient and seeing a range of benefits, then complete our quick form and receive up to four FREE quotes from local, vetted and reputable window installers. Friendly, but wanted to write for cream coloured window frames, I'm not interested in that colour but he persisted in saying it was a good idea. He left without giving a price so really not sure if a way forward with them!?!? Yes if the installation is as good as. The service so far.